Well received at international film festivals around the world (including the Chicago International Film Festival and the Venice Film Festival), “Wolfskinder” is quite a remarkable story inspired by true events. 14-year-old Hans and his younger brother Fritz, orphaned after WWII, are forced to embark on an odyssey to Lithuania. The brothers are separated along the way, and Hans must continue his journey alone through dangerous territory, fighting off disease and hunger while outrunning the Soviet army, hoping that he and his brother will reunite. 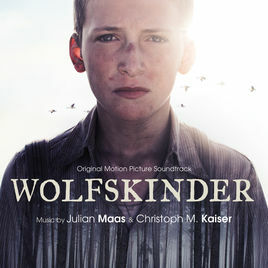 This beautifully shot drama is enriched by an amazingly refined and highly sensitive score by critically acclaimed German composer duo Maas & Kaiser. The violin motif that elegantly accompanies the trials and tribulations is extremely memorable and conveys the deep sorrow and suffering that war inflicts upon its victims.